Cleaner and greener: Azeez Mohammed, president & CEO of GE's Power Conversion business, discusses the key role of electrification technology in decarbonizing the oil and gas value chain. The renewables revolution is in full swing. However, renewable energy alone will not be sufficient to meet EIA’s forecast of a 28 percent increase in world energy use to 2040. And that’s despite its prediction in the same report that wind, solar, hydro and other clean technologies will collectively be the fastest-growing energy source over that period when their global consumption will increase by an average 2.3 percent each year. The oil and gas (O&G) industry, however, is widely seen as a major barrier to the decarbonization that virtually all the world’s countries signed up to at the UN’s 2015 Paris Climate Change Conference, accepting it as vital for the planet’s long-term security. Many oil majors are already responding to the environmental quest as they seek to evolve their offering and become active drivers of, and advocates for, a green energy revolution. They see protecting their future and that of the planet as a two-way street. Take Shell for example: the industry giant pledged in late 2017 it would halve its global carbon footprint by 2050 – announcing to shareholders on the same day it would commit up to $2 billion to 2020 as part of its strategy to deliver the reduction. Exxon Mobil is just as engaged, researching innovative, long-term solutions such as algae biofuels by way of just one example and aiming to produce 10 million barrels a year by 2025. The will to radically reduce CO2 emissions among the O&G sector’s top-table players is clearly there. And it’s my view that electrification now has a key role to play as the decarbonizing transition develops. Subsea cables linking to offshore platforms can maximize the use of clean, green energy from onshore. By avoiding using electricity generated from gas turbine generators, the platform can significantly reduce emissions. Elsewhere, and in particular wherever there’s variation of load/process, electrification with variable speed technology shines a spotlight on energy efficiency and therefore brings CO2 emissions down. For example, in a subsea well, high/variable-speed drive systems can meet the exact pressure requirement, minimizing the energy consumed while extracting the same amount of resources compared to fixed speed systems used in the upstream application. A similar principle applies downstream. By taking a clean approach to gas compression using a high-speed electric motor and centrifugal compressor in a single sealed casing, integrated compressor lines (ICL) completely eliminate oil leakage and emissions, which is also critical for raising safety standards. We see standalone solutions such as this as pivotal for the future of electrification. Consolidated into integrated machines, technologies of such kind not only offer benefits in terms of improved safety and efficiency, but also reduced footprint and weight. Variable frequency drives (VFDs) combine electric motors and drive technology to raise process efficiency by enabling a flexible range of speeds. 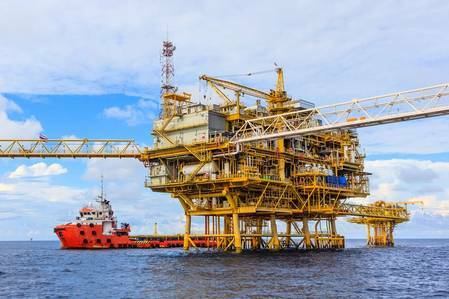 Driven by the need to lower emissions and cut costs, it’s a powerful option for O&G suppliers exploring new opportunities to upgrade their systems architecture for better performance and efficiency. Using VFDs instead of gas/steam turbines to run process compressors for downstream O&G facilities limits emissions by avoiding firing up a furnace to generate steam or gas for power turbines. It’s true that while this represents a big opportunity, most petrochemical and refinery plants will still need steam for some process purposes. And in any event, to enable electrical solutions, suppliers will still need to generate and supply power to feed VFD motors and drives, and have a distribution network that can sustain such loads. Electrification delivers a great deal – but is inevitably not the solution for every possible scenario. The potential of electrification for delivering significant savings deserves serious consideration too. Integrated machines designed for offshore platforms not only reduce weight and footprint, they can also lower capex. Electrical machines are also highly reliable, with the upside that they require much less maintenance than traditional mechanical technology. So at the same time as raising safety standards, they reduce opex, ease the impact of the currently shrinking O&G workforce, and facilitate the pathway towards future unmanned platforms. Adding further to electrification’s appeal, its superior start time performance offers producers the flexibility to react more quickly to market demands – maximizing revenues at the same time. To realize the electrification of O&G infrastructure, the grid network will need to continue to expand, improve and upgrade to meet future demands. And, in turn, by applying smart electrical solutions, O&G will continue to develop in a more sustainable way and help contribute to the cleaner energy future.